Bart has been a movie lover since his teens. Sure, I love a movie. But not LOVE a movie, the way Bart does. 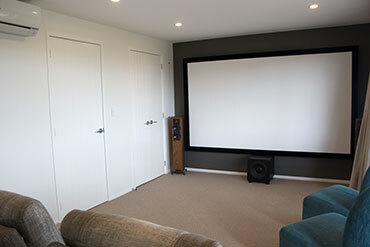 So, when our time came to get into the real estate market, a home theatre was very high on Bart’s wishlist. Every home that had our name on the purchase agreement was pre-wired for home cinema. 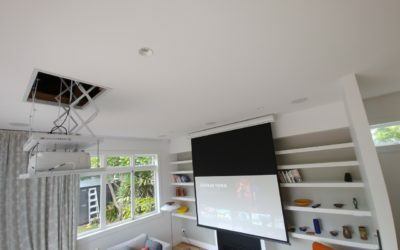 However for many reasons the actual dedicated home theatre he’d been dreaming of didn’t materialise until a few years ago. For the last few years, Bart spends every night in his home cinema. Every night. And every Friday, it’s ‘date night’ and I join him for a Friday night movie session. And here’s the confession: I’d never thought I’d say this but having a home theatre is awesome! 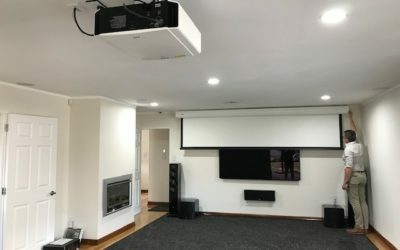 I’d prefer to watch a movie in our home cinema a million times over a visit to Hoyts (Sorry Hoyts, but it’s true). I thought I didn’t care much about large screens, immersive viewing, Dolby surround sound and great contrast. Boy, was I wrong. 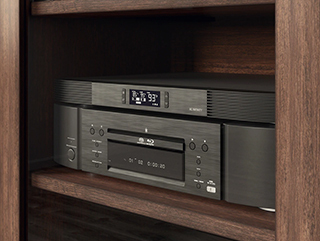 Some speakers like the ELAC Adante’s or the new ELAC Vela’s, the Klipshorns and the RF7 III, the SVS Ultra’s, the Dali Epicons and the Q Acoustics Concept 500’s come with two pairs of terminals (binding posts) at the back of the speaker, allowing you to bi-wire or bi-amp. Huh?! 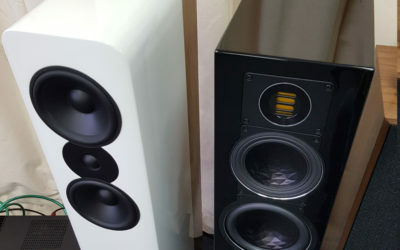 Mainly it’s a right reserved for high end speakers, but some very affordable speakers like the Emotiva Airmotiv’s T1 floorstanders offer the option too. 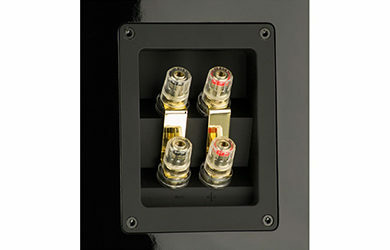 The topic of bi-wiring and bi-amping is the cause of many heated discussion on audiophile forum. Even people who know a thing a two about AV don’t always agree on their merits. Time for us to give you our 5 cents worth of insight. 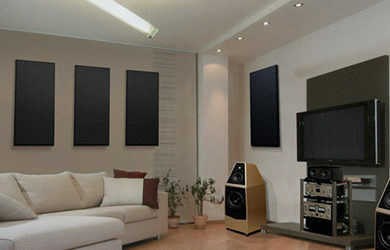 Room acoustics is a rather broad topic that encompasses a wide range of issues and solutions. As a matter of fact, it’s quite a science in its own right. Bart has a bit of a passion for the science of waves, how they behave and how they can be tamed. 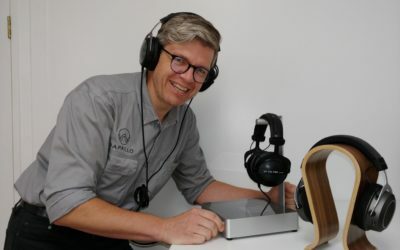 It started off with some papers on acoustics during his engineering training, but he became rather fascinated by it when building his music/recording studio and later on his home theatre. ‘Complex’ doesn’t begin to describe it and it tends to scare off many audiophile and movie lover. But we’ll make an attempt to take you through the muck without leaving you with a headache at the end. 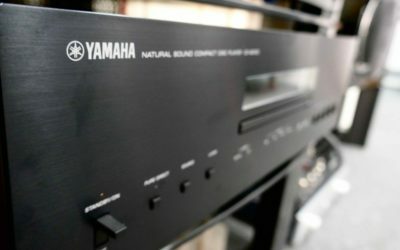 Whenever I post something on Facebook about Blu-ray players or CD players, guaranteed somebody will reply:’ Do people still buy these?’ While obviously nowhere near in the same amounts as say 15 years ago, the answer is still ‘yes’. Despite the convenience of streaming and the romance of vinyl, the truth is: CDs are still an excellent music format. At the Rapallo home, Spotify Premium gets a lot of use for all sorts of reasons (the presence of young people not being the least of it). But we’ve also got hundreds of CDs in the cupboard, and we’re not getting rid of them. 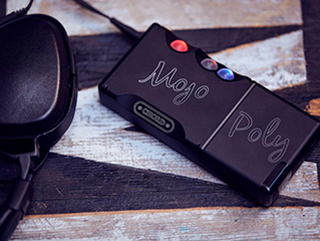 After all, the humble CD player still offers high-quality audio that trumps a lot of the streaming services out there.